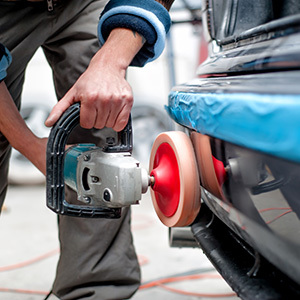 Treat your vehicle to the experts in all things pertaining to auto body repair and be sure to choose All Valley Auto Body Shop for collision repair, custom auto paint, frame repair, dent removal and more! We’ve been providing top-notch service since 1979 and are happy to address your auto body repair needs today. Damage to a vehicle can spell trouble for anyone—especially if you’re the type of person who heavily relies on your car, truck or SUV to maintain your daily lifestyle. When automotive damage becomes an issue for you, be sure to choose All Valley Auto Body for expert service, professional repairs and personable service. For decades we’ve been helping people overcome their automotive issues and get back on the road fast thanks to our many exceptional services. From simple dent removal to full body collision repair, we’re ready to help you restore your vehicle to a like-new condition, no matter the make, model or year. We work on all makes and models of vehicles, including foreign and domestic. We offer towing services anywhere, but will pickup and drop off vehicles up to 30 miles. We are I-Car and PPG automotive refinishing certified. We are insurance specialists and are able to negotiate your insurance claims. We are an accredited member of the BBB. "I took my Subaru to All Valley recently. It was in a poor state, looked like something took a bite out of the side and front headlight. Had ..."
"Mike at All Valley Auto Body (AVAB) was great. He expedited my repair through the insurance co. and made me feel like he was representing me..."
"Mike Levis at All Valley Auto Body really made things easy for us when our car was a recent victim of a hit and run. He worked with our insu..."
"I have been going to All Valley Auto Body shop for the past 15 years! They have the best costumer service and the work was done very profes..."
"Mike and his crew run an outstanding body shop. I have known him over 15 years and have used his services 5 or 6 times. His attention to det..."
Auto damage is frustrating for anyone to deal with. Make sure that you get your vehicle serviced by professionals who can end your headache quickly. fill out the short form below to learn more!